If you are looking to make a bright and bold statement on any wall in your home, then this Dorsiere red mirror is a unique choice that will be sure to draw eyes to your wall. 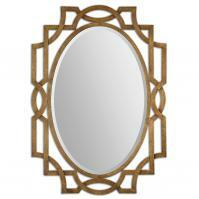 The mirror measures 31 inches by 51 inches and features a resin frame that is ornately carved with intricate details. 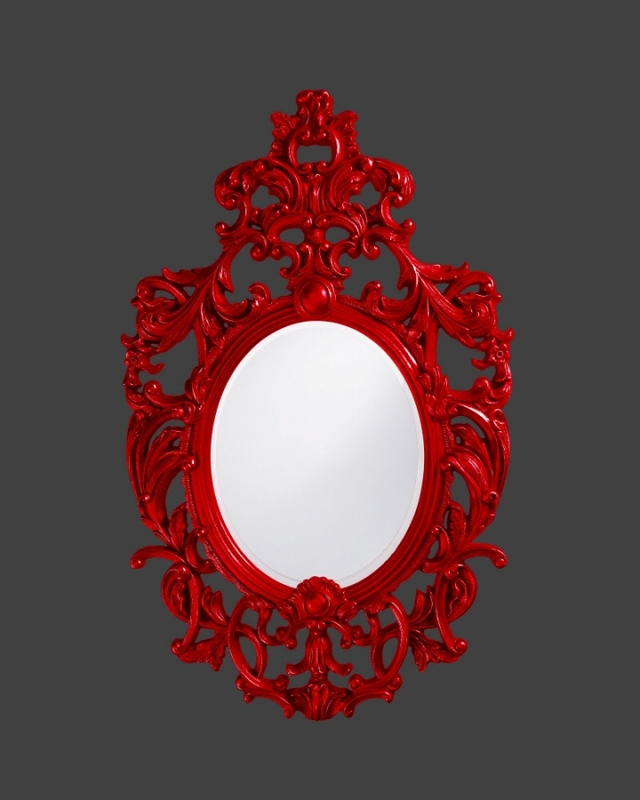 The frame is then finished in a glossy red cherry paint. 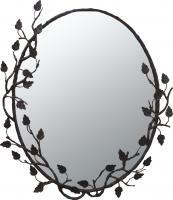 Use this as a fun element in your living room, bedroom or dining room or as an over the top bathroom vanity mirror. 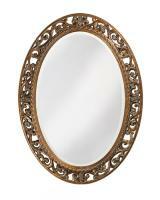 The mirror weighs 22 pounds and comes with mounting brackets.